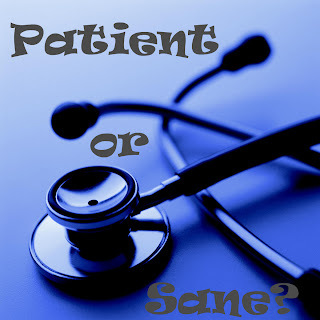 Are you a Patient or Sane? There was a day when I didn’t think about managing my weight. Things seemed wonderful in middle school. Long gone are the times my girlfriends and I would bake a big chocolate cake and watch a romantic movie while eating the cake and drinking coke. Weight was the last of our worries. The world was so new, there were so many things that entertained us! Friendship and fun were the things that crossed my mind the most. In high school my girls and I spent time in a friendly competition to see which one would lose the most weight over a period of time (it was really friendly cause we all liked to eat but we all exercised A LOT). We were more career than weight conscious at that time, believe it or not. In college it seemed like my friends didn’t really have a problem with weight. The same thing happened in grad school, so I felt I was in the battle by my own self. Last week I realized I’m in this journey by myself. It’s weird cause when you get married you’re bonded to a person but there are other things in life that are meant to be experienced by yourself – like birth for example or learning how to swim. 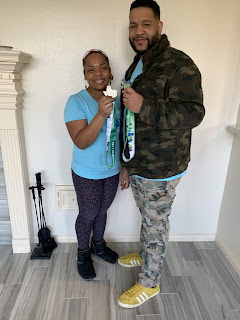 I know some of us join groups that add accountability to weight loss. I spend time every month with a nutritionist but I realize that when my consult is up, I go my way and so does my nutritionist. I’m thankful we have support and coaching along this journey. I come to realize that persons who need constant coaching and support are usually found in hospital beds, rehab centers, mental facilities and prisons. Normal people get doctor’s appointments sometimes so they can get a check up and go on with their lives. Most doctors work so their patients can get better and move on with their lives. I am getting out of a patient mentality. I want to have a sane mentality when it comes to weight management. I can do it by myself without unhealthily relying on another person. As a Christian woman I know I have Christ as the greatest helper so with Him I can do all things. It’s a fact that I go through weight management by myself. It’s a greater fact that Christ never leaves me or forsakes me even when I’m working on managing my weight in real life.